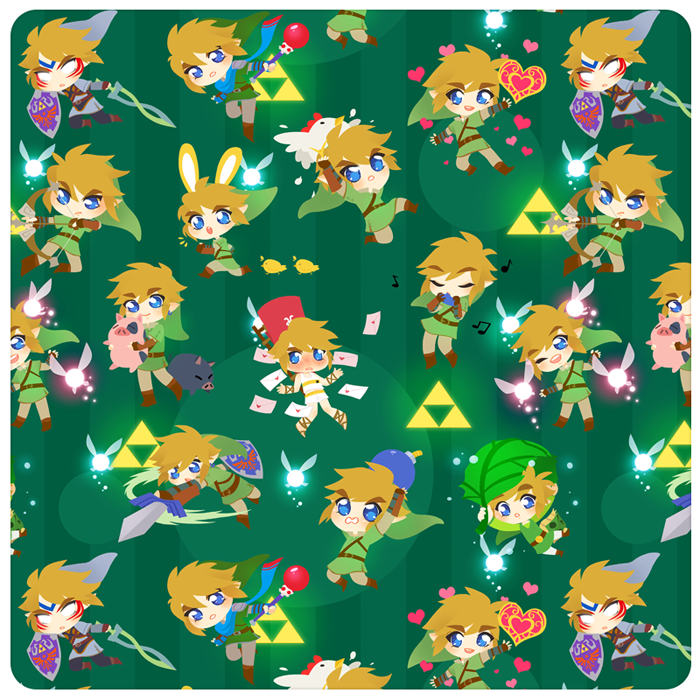 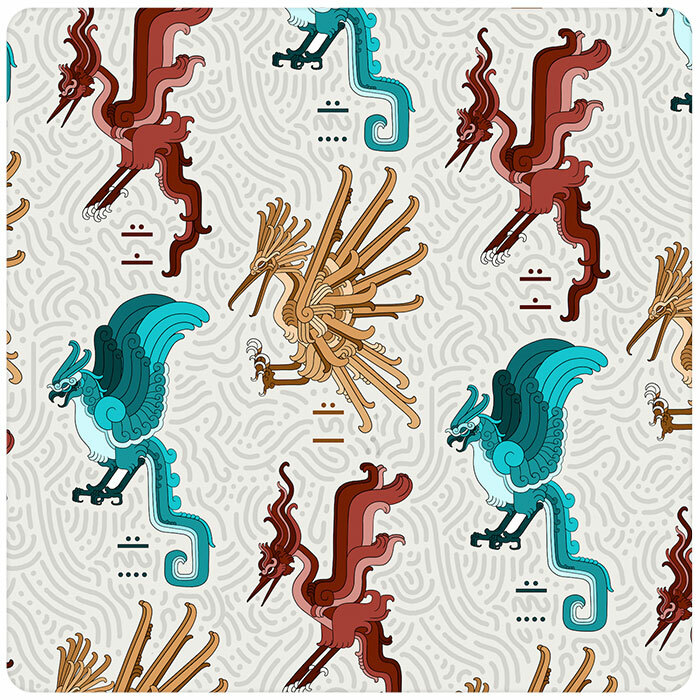 Link’s many legendary adventures are commemorated in this adorable pattern by Maya Kern. 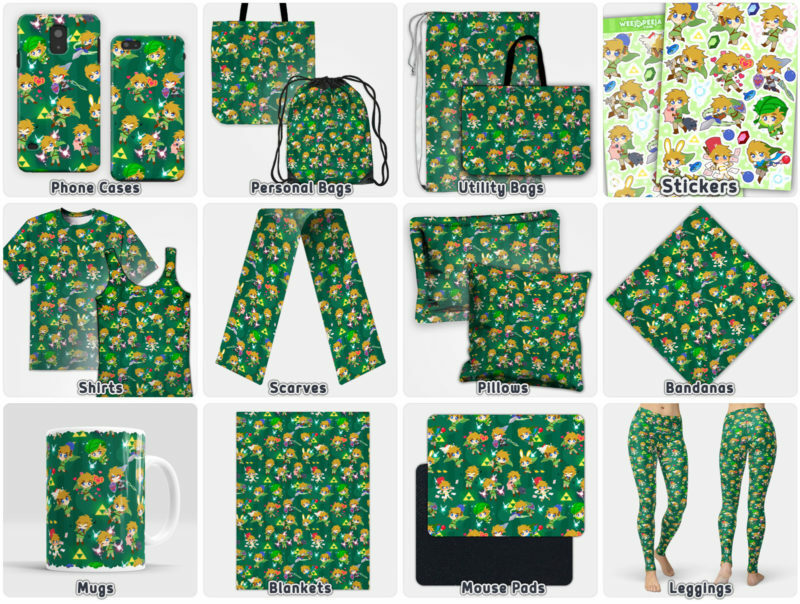 From playing the Ocarina of Time, to fighting as the Fierce Deity, and even delivering mail, this pattern covers it all the Zelda adventures! 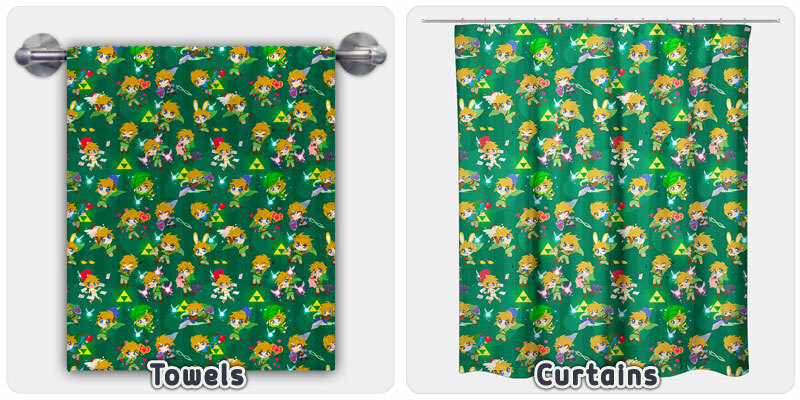 Check out all the great items this design is offered on to aid in your adventures as the Hero of Time!